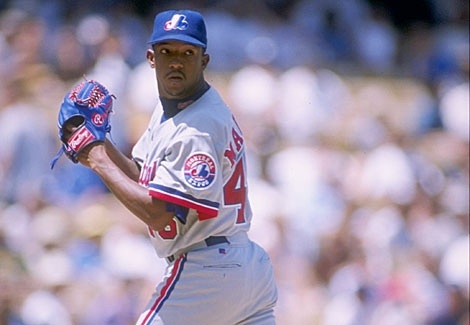 Pedro Martinez has not pitched in the majors since September 25, 2008 but that has not stopped Pedro. Martinez pitched for the Dominican Republic In the 2009 World Baseball Classic and in six innings he gave up one hit, walked none, struck out six, and hit one batter. Martinez “auditioned” for a roster spot along with Sidney Ponson and Ivan Rodriguez. Ponson signed with the Royals but is currently on the D.L. Pudge signed with the Astros and yesterday passed Carlton Fisk for the most games played by a catcher. Before the season the Cubs and Rays had showed interest in Pedro. I thought the Cubs would be a bad fit because I thought he might have to pitch in the bullpen. Chicago though already has six starting pitchers. However Martinez would give the Cubs depth incase Rich Harden gets hurt again or Carlos Zambrano gets suspended again for having a tantrum. The Rays though would be a good fit because Pedro is an experienced veteran and the Rays have a lot of injuries. However with Scott Kazmir soon to be back and David Price getting called up Pedro would probably be pitching in the bullpen there. Now that the season has started the Angels and Yankees have joined the Pedro talks. Yep the Rays, Yankees, and Angels all want the former Red Sox great. What do the Rays, Yankees, and Angels have in common with each other? All are rivals with the Red Sox on some level. If Martinez went to the Yankees he would probably get the most money but he would have to work out of the bullpen and I believe that Pedro wants to leave New York after four “terrible” seasons with the Mets, in which he pitched in just 79 games and went 32 and 23. Going to the Angels Martinez would have the biggest chance of pitching in the rotation but the odds are he will not because Matt Palmer, who is the fifth starter, is six and zero with an ERA of 4.13. Even with Kelvim Escobar on the D.L. the Angels do not really need Pedro because they have one of the best bullpens in baseball. According to a report by Ken Rosenthal on Foxsports.com the Cubs, Rays, Yankees, and Angels will go to watch Martinez Friday in the Dominican Republic. Every team is now downplaying their interest in the 214 game winner. One executive said his team is sending scouts as a courtesy to Pedro’s agent, Fernando Cuza. Which team do I think that is. Well I doubt it is the Cubs or Rays because they where the first teams to talk about signing Martinez. That leaves the Yankees and Angels. The Yankees have one of the worst bullpens in baseball while the Angels have a good rotation and bullpen. So I bet the Angels are the team that is being nice to Pedro and his agent. However Cuza’s clients include Yankees closer, Mariano Rivera along with Angels slugger Valdimir Guerrero and Cubs outfielder, Alfonso Soriano. However I still think the Angels are doing it to be nice. Martinez who turns 38 in October was seeking five million dollars at the start of the season but Martinez now would take three million for the rest of the season. However if Martinez goes to the Yankees he could get four million or maybe that “elusive” five million dollars. Heck maybe even six million but that is very unlikely. If Martinez would agree to sign a minor league deal he could attract more teams like maybe the Rangers, Astros, Blue Jays, and Brewers. Martinez would probably also be able to start at all four locations. The Rangers though just signed Orlando Hernandez to a minor league deal. The Rangers and Brewers are first in their respective divisions while the Blue Jays are in third in the A.L. East by five games and even though the Astros are last in the N.L. Central by six and a half games the Astros hate to give up. But should Pedro come back. All the signs point to yes but look into the numbers more. Pedro only has 99 career loses. I believe that having less then one hundred losses helps you get into the Hall of Fame and the three time Cy Young winner wants to get in. What if though he gets hurts. I do not want to see one of the best pitchers ever go out like that. The seventeen year veteran who spent time with the Dodgers, Expos, Red Sox, and Mets has a career record of 214 and 99 with an ERA of 2.91 and has struck out 3,117 in 2,782.2 innings. He is tied for thirteenth on the all-time strikeout list. Of the sixteen members of the 3,000 strikeout club Martinez has given up the east amount of earned runs with 901. One thing though about the 3,000 strikeout club is today it does not seem like it puts you in the hall. Just look at Bert Blyleven. Who also finished his career thirteen wins shy of 300. So Is Pedro Hall Of Fame Worthy? Well he was not as good of a post season pitcher as Curt Schilling and he has three more wins then Pedro. martinez though does have one more strikeout for Curt so you could make a pretty good argument for either. I see both getting in though. But I am getting off topic. We could go on and on and on about Pedro and how great he is and what team he will pitch with this year if any and all kinds of stuff. Heck if I wanted to I could write an entry about his fastball. But that might be kind of boring. Anyway the game is in a rain delay right now and the BoSoxs are losing but I did get a new Red Sox hat about an hour ago. (It is the new alternate ones with the hanging soxs.) So even though we are losing it does not “sting” as much as it does some days. Anyway I am getting off topic again. Okay where ever Pedro pitches I wish him good luck . . . unless it is against the Red Sox. Written on April 24, 2009 before the game last night. First off let me just say that am I sick of people saying that the rivalry starts today. It does not. It never ends. Maybe for some teams like the Cubs and Brewers or inner state rivalries such as the Rangers and Astros or the Phillies and Pirates. I mean besides the Cubs the Brewers, Astors, Rangers, and Pirates are either small market teams are medium market teams. This rivalry never ends though. Still do not believe me? Well I will show you. The Red Sox made their first move of the offseason on November 19 when they traded for Ramon Ramirez. Coco Crisp was also in the deal as he went to the Royals. They also traded for Wes Littleton on November 28. Littleton is now with the Brewers after they got him off waivers from Boston. The Yankees made a pretty big trade in November. Nick Swisher was traded from the White Sox along with Kanekoa Texeira for Wilson Betemit, Jeff Marquez, and Jhonny Nunez. New York then resigned relief pitcher Damaso Marte to a three year deal with an option for 2012. November did not continue the rivalry as much as some might have wanted. However December did continue it. Boston did not do much besides sign Enrique Gonzalez, Paul McAnulty, and Billy Traber to minor league deals with invites to spring training. They also resigned Gil Velazquez to a minor league deal with an option for spring training. Billy Traber pitched in nineteen games for the Yankees last year. However the Yankees would later “steal” a player from the Red Sox. The Red Sox had a quite offseason in December. The Yankees did not. They signed A.J. Burnett to a five year, worth $82.5 million. That same day they signed ace, C.C. Sabathia to a seven year, 161 million dollar deal. The most ever for a pitcher. They Yankees did not do anything else that month but what they did made a huge impact on them, the Red Sox, baseball, and the rivalry. After the new year Boston made a ton of deals. They signed catcher Josh Bard who was later released on March 18th. Bard the signed with the Washington Nationals on April fourth and then on April 20th he was sent down to AAA. 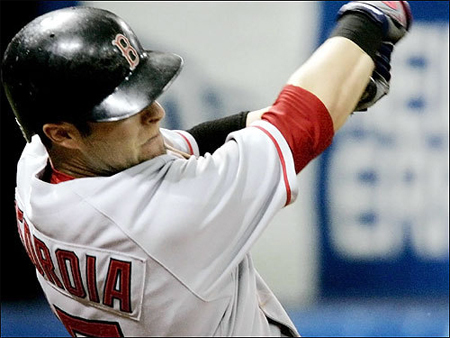 On January eighth Boston signed former Tampa Bay Ray, Rocco Baldelli to be the fourth outfielder. Rocco is now on the D.L. and I wish him a speedy recovery. The next day Boston signed starting pitcher, Brad Penny to a one year deal. Then the next day Boston signed relief pitcher Takashi Saito to a one year deal that included a club option. Three days after the Saito signing Boston signed, future Hall of Famer Jon Smoltz to a guess what, a one year deal. Two days later they signed utility man, Mark Kotsay. Kotsay was thought to go somewhere where he could be a starter but he did not. After Boston’s “little deals” New York made two huge ones and one worth mentioning. On the days before January sixth offseason fireworks started. Boston, New York, Washington, Los Angeles (Angels), and Baltimore where all in the bidding war for Mark Teixeira. However it was really only a two team battle with Boston and New York. 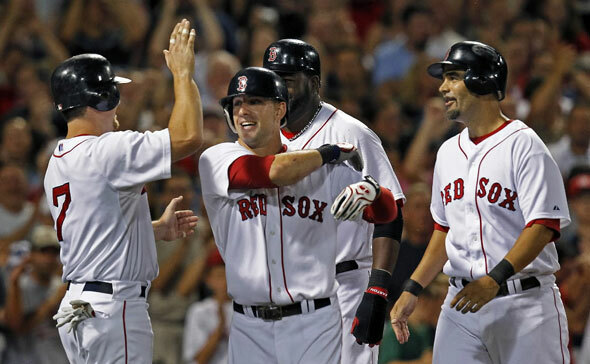 Boston planed on moving Youk to third and Mike Lowell to the bench or trading him. Well this was the happiest move the Yankees have ever made for me. 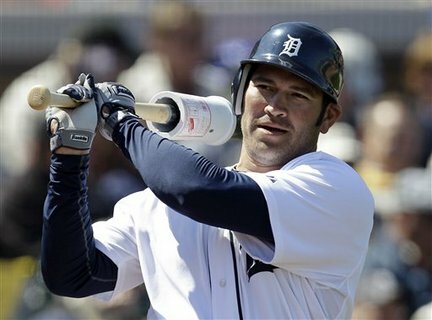 While Teixeira whined for four day about his wrist, Mike Lowell has hit .322 with three home runs, nineteen hits, and sixteen RBI’s. Teixeira has only hit .240 with three home runs, twelve hits, and thirteen RBI’s. Lowell has also made a ton of nice plays at third while Teixeira has struck out nine times in thirteen games. On January 14th the Evil Empire got revenge as they signed former Red Sox, Kevin Cash. Cash could not do much besides catch a knuckleball so I really do not care know. However I did write a post about the deal. You can find in here. On the 26th New York made a move pretty expected. They resigned veteran pitcher, Andy Pettitte to a one year deal worth to a deal up to twelve million dollars. Like Manny Ramirez, no other team really showed interest in him. Some teams showed a little bit of interest but not much. For a little bit, before the Brad Penny signing I thought Boston might try to get him. I was wrong though. On the sixth of February Boston made a obvious move for veteran catcher, the captain, Jason Varitek. Like Manny and Pettitte no other team made a move towards Tek. Teams made a little effort but no one really went after him. Boston wanted him and he wanted to go to Boston. It took longer then Red Sox Nation wanted but it all worked out. Ten days later, Brad Wilkerson signed with the Red Sox. Wilkerson competed for a roster spot after Mark Kotsay had surgery. Chris Carter won the spot though. Wilkerson spent a little bit in AAA but retired I think about a week ago. February was a quite month for the Yankees. They made one trade and signed one guy. Neither are really worth mentioning though. They traded for Chase Wright for Eric Fryer. Nine days later they signed starting pitcher, Brett Tomko. Who is not with the Yankees. In March Spring Training began. The Red Sox played one game at the Yankees’ ballpark and the Yankees played one game at the Red Sox’s stadium. On Friday the thirteenth Boston played at home against the Yankees. They won eight to four. On March twenty-fourth the Yankees played at home. They won seven to one. If I remember correct Boston had two regular day starters, Jed Lowrie and David Ortiz. While the Yankees had around seven. Now we’re in April. Boston plays tonight with Jon Lester on the mound I like or chances and I expect some fireworks like Joba throwing a Youk’s head. It will probably be closer but I think the Yankees bullpen will lose the game because Joba can only pitch around five innings a game. Marino is heading into the twilight of his carer and is not his old self. I see the Red Sox winning seven to six.